The accommodation suited our needs very well. Thank you. 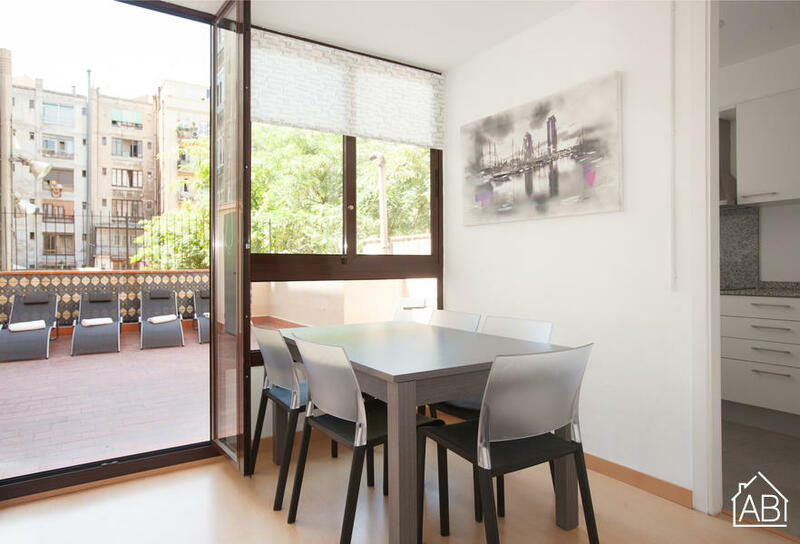 This comfortable apartment in Barcelona is perfect for large families and/or groups. It is located in an upbeat area within walking distance to some of Barcelona´s top attractions, including the Sagrada Família and the Torre Agbar. Nearby you will also find countless bars, restaurants and cafes for your convenience. This stylish, modern apartment has an amazing private terrace with sun loungers. It has four bedrooms, 2 bathrooms, and can accommodate up to eight people. The spacious living room boasts cozy seating and a TV, which leads to a kitchen equipped with a microwave, pots and pans, and a coffee maker. You can even stay connected with this apartment´s internet connection.